Good morning, SoBo (South Bombay)! Our visit kicks off with a city tour of some iconic sights on our way to breakfast at one of Mumbai’s most exclusive sports clubs. We will pass through Nariman Point, Marine Drive (aka The Queen’s Necklace), Chowpatty Beach, Pedder Road, Malabar Hill, and Haji Ali before munching on Eggs Kejriwal and Eggs Akuri amidst lush greenery in the middle of this bustling metropolis. 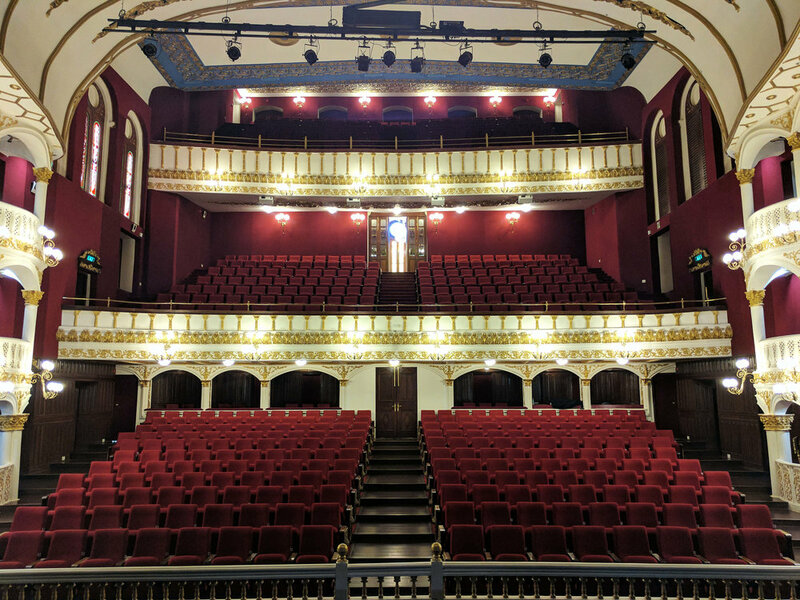 We continue to discover the city, this time exploring it through the lens of the Parsi and Jewish communities, both rapidly disappearing after a presence in India of close to one thousand years. Experts accompany us to the synagogue in Kala Ghoda and to Ballard Estate for lunch at the beloved Britannia. This restaurant, in continuous operation by the same family for three generations, serves up delectable Parsi and Irani dishes such as barberry rice pulav and dhansak. After lunch we meet Kunali and Yohann Dattoobhai at the headquarters and manufacturing site of Sucres des Terres ice cream for an enlightening discussion of what it takes to launch artisanal food brands in India today. Plus, we will sample several flavors of Kunali’s award-winning ice cream, many of which are based on indigenous ingredients. The day culminates with a special treat at the home of one of Mumbai's most fascinating tastemakers. During our evening reception at a private Art Deco bungalow in the middle of “SoBo”, we will snack on modern interpretations of Bombay street food and toast this unforgettable start to our culinary journey in India. The legendary and iconic Taj Mahal Palace at Apollo Bunder by the Gateway to India in Colaba will be our base. A wake-up call will be necessary on day two. 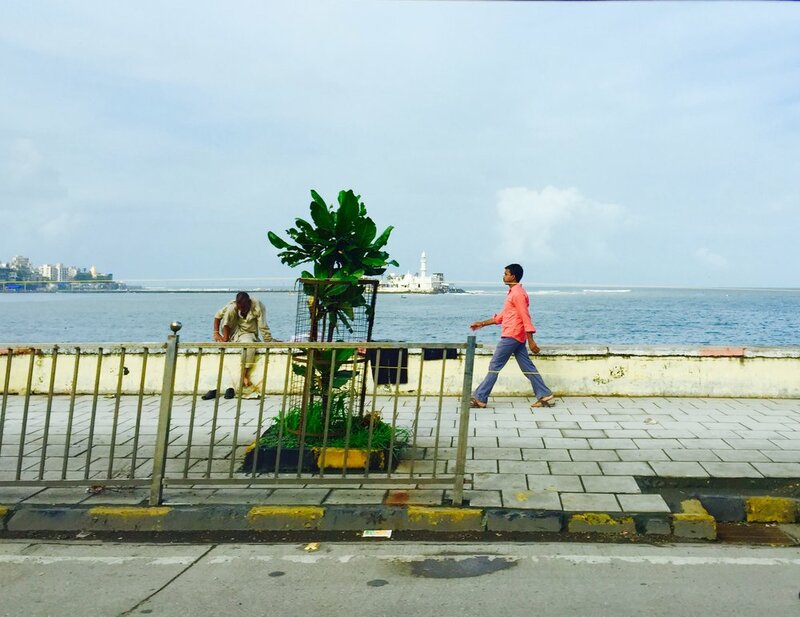 Our “Mumbai by Dawn” tour of the city’s trading markets starts at the Sassoon Docks. Here, we encounter a fish and seafood market commandeered by the original inhabitants of the area, feisty Koli women, and we become well acquainted with the favorite local fish, Bombay Duck. From the pungent to the fragrant, we will experience the herb, produce and flower markets on our way to a private home for a Maharashtrian breakfast consisting of pohe, upma, vada and other Marathi treats. After this busy morning, we return to the hotel for a much-deserved rest and change of clothes. By midday we resume our tour of the city’s great heritage architecture. The first stop is the Royal Opera House, followed by the 19th century Neo-Gothic structures in the Fort area. Highlights include Victoria Terminus, Bombay University, the Asiatic Society and Sassoon Library. Right before lunch, our senses will be reawakened by a visit to the spice “gully”, or market, for a quick lesson in mirchi, kesar, jeera and haldi. 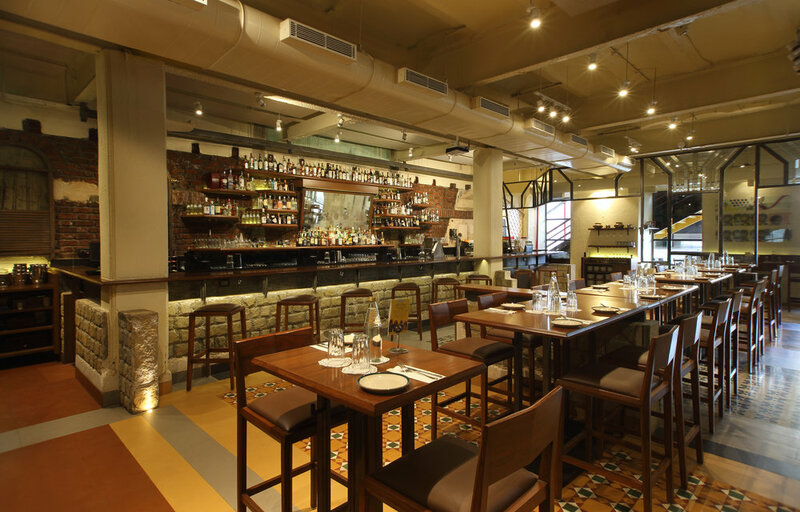 One of the city’s most talked about restaurants, The Bombay Canteen, is our venue for lunch. There, we will hear from Chef Thomas Zacharias and, if he’s in town, Floyd Cardoz, of famed Tabla and now the Bombay Bread Bar in New York City, about the current focus on regional Indian cuisine and seasonal ingredients. Evening libations begin with a sunset reception at the hotel hosted by the Taj and featuring some of its internationally acclaimed food and beverage talent. Dinner awaits us a short ride away at the charming home of one of Mumbai’s celebrated personalities whose dinner parties are legion and hospitality and food bountiful. Our host’s “supper salons” attract some of the most interesting and lively people in town. 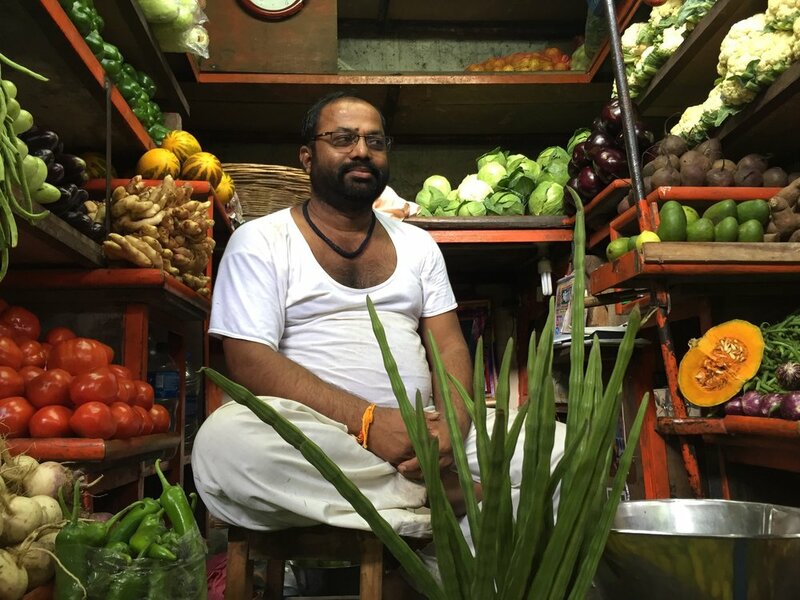 The third day in Mumbai is immersive and intimate. After a leisurely breakfast at the hotel, we meet Gauri Devidayal, the owner/founder of The Table and Magazine Street Kitchen (MSK) to talk to us about what it takes to bring new ideas to a fiercely traditional society. A highlight of our time in Mumbai will be a specially customized cooking workshop at the MSK that will result in a late lunch. Since the Magazine Street Kitchen opened in 2016, this 2,500 square foot experimental space designed within an industrial warehouse has become a center for international culinary collaboration and events. The expert team at MSK will lead us on a hands-on cooking journey in this state-of-the-art facility. A specially designed meal, with an emphasis on seasonality, local seafood and the Indian spice cabinet, will be ours to create and to enjoy. The evening plan is very special. We have been invited to a private dinner party at the home of one of India’s most preeminent food industrialists. There, we will also meet and mingle with the who’s who of the arts, business and media over a meal of refined home-cooked regional cuisine in an intimate, elegant setting. 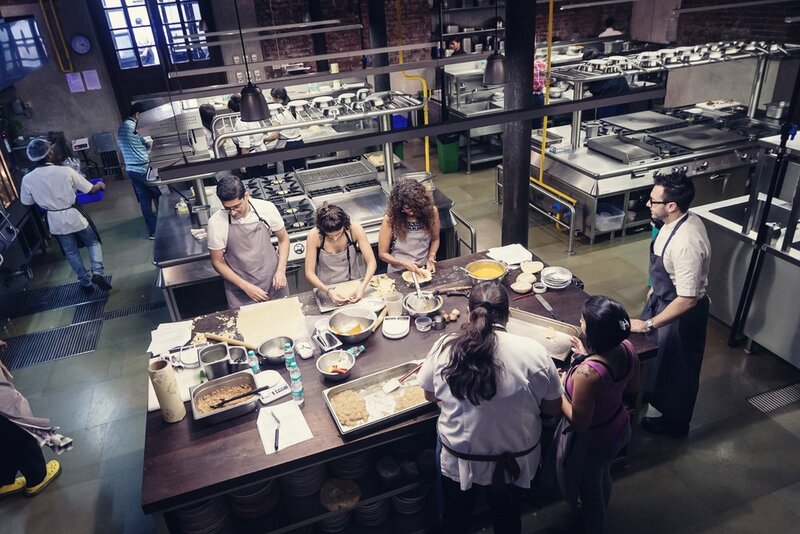 The final day in Mumbai brings us into more cooking and conversation with accomplished food and beverage entrepreneurs, chefs and restaurateurs. The first stop is APB (A Perfect Bite) Cook Studio where owner/founder Rushina Munshaw Ghildiyal will teach us about dal, one of the mainstays of the Indian table. Rushina and her expert staff will guide us through ways to incorporate the wide variety of lentils available while also demonstrating the versatility of this legume. For Rushina, the kitchen represents a place of creativity, social change and empowerment, and she extends this passion to writing about food issues and inspiring children to lead better lives through knowledge of basic cooking skills and healthy foods. We reward our hard work in the studio with a liquid lunch of craft beers at Woodside Inn. Serving the finest from Mumbai’s craft brewers, Woodside boasts the largest number of taps. We will meet and talk to the founders of Woodside about the challenges of navigating government regulations and the opportunities of building beverage followings in India. Their resident “beer geek” will guide us through the most important part of the experience: the beer flights! It takes creativity, vision and an entrepreneurial zeal to launch what some have called “an audacious enterprise”. Welcome to MASQUE, one of Mumbai’s most acclaimed restaurants, where we will dine on our last night in the city. Owners Aditi and Aditya Dugar run a vertically integrated operation, and every ingredient used by Kashmiri-born, CIA-trained chef, Prateek Sadhu, has been sourced directly from producers in India. We have invited Rahul Akerkar, one of India’s legendary culinary innovators, to join us for dinner. Chef/Restaurateur Akerkar changed the way people dined in India when he opened Indigo in the late 1990s. It was the first free-standing, fine-dining restaurant in a country where such experiences had existed only in hotels. After the morning flight from Mumbai, we arrive at the Falaknuma, “Mirror of the Sky”, where we will be transported to another world at this lovingly restored 32-acre property perched 2000 feet above the 400-year-old city of Hyderabad. A very special welcome for our group will immediately signal that this is no ordinary experience, and lunch at the Gol Bungalow will lure us into the spirit of the city. The remainder of the afternoon will be spent at leisure at our pleasure palace. Evening activities commence with a champagne palace tour given by one of the direct descendants of Hyderabad’s Paigah nobility. The princely theme carries over to dinner with an immersive cooking lesson in the food culture of the Nizams led by the hotel’s award-winning team of chefs. A blend of Persian, Arabic, Turkish, Mughlai and South Indian influences, Hyderabadi food has been known for its extravagances, such as crushing pearls into dishes and distilling quail into alcohol. We will be joined by a few special guests who will be able further enlighten us on the history and culture of the area and cuisine. The sumptuously renovated heritage property, the Taj Falaknuma Palace, will be our home while we explore the culinary and cultural treasures of Hyderabad, a place of great authenticity too often overlooked by travelers to India. After breakfast at the hotel, we continue our journey along the Nizam historical trail, starting at the grounds of The Chowmahalla Palace. Begun in 1750, this resplendent heritage site was directly inspired by the Shah’s palace in Teheran and used for official gatherings, state meetings and lavish entertaining. “Chow” means “four” and “mahalla” is “palace” so what one finds is indeed four palaces, the last of which was finished in the 1860s, all surrounded by classical gardens and an array of waterworks. Our visit through the old city includes many stops, from the bustling Nimrah Bakery for Irani chai, Osmania biscuits and a glimpse of daily life, to a climb up The Charminar, to the Laad Bazaar and Pather Gatti. At its peak, the Charminar area boasted 14,000 shops. We will concentrate on the bangle wallahs, produce markets, naan bakers, dairy producers, sweet shops and a spectacular array of embellishments and textile workshops. Lunch awaits us back on the glorious grounds of the Chowmahalla Palace where we will have exclusive access. Chefs from the Falaknuma Palace will guide us through the art of cooking the dish that Hyderabad is renowned: biryani. With them, we will make a few princely interpretations of this rice and meat dish. While our culinary focus has thus far favored the princely side of Hyderabad, dinner will highlight home cooks and their various approaches to incorporating the aromatic nuances of Hyderabadi gastronomy alongside the fiery punch of the Andhra palate. The venue will be Aish at The Park Hotel where the executive chef will curate a special dinner featuring the family recipes of these home cooks presented with his contemporary flair. This morning, we set out on the South Indian culinary trail. Nothing beats an authentic vegetarian South Indian breakfast at Chutneys where we will sample the idlis, steamed dosas and, of course, the chutneys. But save some room for mithai at the iconic Almond House where a range of savories and baked goods should provide an ample introduction to the culture of sugar in India. Not surprisingly, the English word “sugar” can be traced to the Sanskrit (śarkarā), via Arabic سكر (sukar). We take a break from the culinary arts to immerse ourselves in other forms of creative expression. Graceful and energetic at 85, Suraiya Hassan Bose, founder of Suraiya’s Weaving Studio, has built an important artisan cooperative employing widows and providing a free education for their children. Her focus has been on the revival of Persian brocades, and she speaks with humility and purpose of her effort to keep traditional handlooms alive. The South Indian food trail beckons again. Simply South is the chosen venue for lunch where Chef Chalapathi Rao, awarded the title of Custodian for South Indian Culinary Art in India, will take us on a journey through five distinct cuisines: Andhra, Telangana, Kerala, Karnataka and Tamil Nadu. This restaurant concept is central to the chef’s mission to document, preserve and present regional dishes from home kitchens using the freshest and finest ingredients possible. We will be invited to participate in learning to make appams, a type of pancake from fermented rice batter and coconut milk, traditionally found in Kerala, Tamil Nadu and Sri Lanka. After lunch, we set off for an afternoon of Deccan history and culture. The Qtub Shahi Tombs, the oldest monuments in Hyderabad and the resting place for its dynastic rulers is the first stop. The principal capital of the Qtub Shahi kingdom was the Golconda Fort, which we will pass on the way back to the Falaknuma. The palatial surroundings of our hotel will be the ideal venue for a lavish, unforgettable evening of music and food on our final night in India. We will be joined by the “who’s who” of Hyderabad. After this spectacular evening, we will thoroughly understand why this part of the country is where everyone “lives to eat”. And eat like royalty we will! The final day will be left to the discretion of the individual. Perhaps relaxation and detox at the hotel’s Jiva Spa. Or another visit to one of Hyderabad’s markets. Or shopping for contemporary fashion and home design in Banjara and Jubilee Hills. We will assist our guests in finding the activity that suits their interests and energy level. We depart in the late afternoon for Mumbai to connect later that night to our respective ongoing flights. As in life, many things are unpredictable. Therefore, please note that all final details for these tours are subject to change.